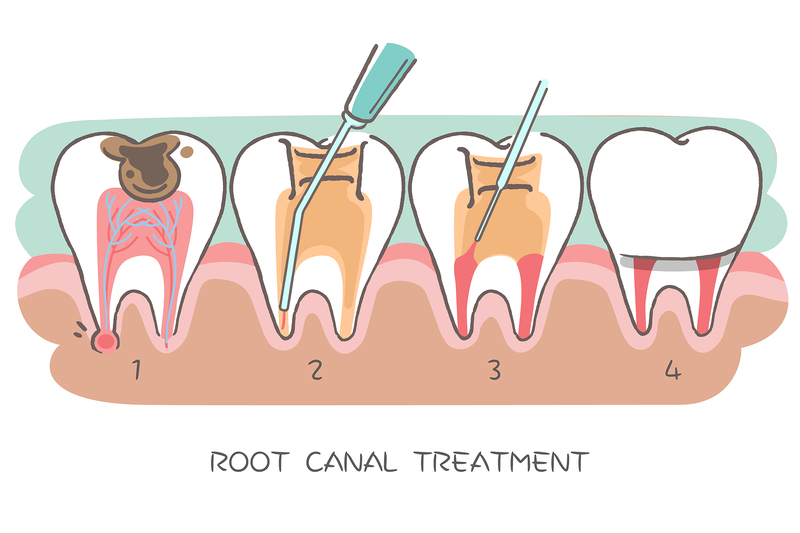 Root Canal: Endodontic treatment in Houston, Texas. Root canal treats disorders of the nerve of the tooth. The most common factors contributing to a need for a root canal treatment are physical trauma to the tooth, physical irritation caused by deep decay or a large filling. The endodontist removes the inflamed or infected pulp, carefully cleans and shapes the inside of the root canal, then fills and seals the space. Afterward, you will return to your dentist, who will place a crown or other restoration on the tooth to protect and restore it to full function. After restoration, the tooth continues to function like any other tooth. The pulp is important during a tooth’s growth and development. However, once a tooth is fully mature it can survive without the pulp because the tooth continues to be nourished by the tissues surrounding it.